As the vernacular web continues to take shape and reflex the voice of various people groups, an increase in online protests can be seen. Posts, forums, articles, WordPress, BlogSpot, Twitter, Myspace and Facebook to name a few have become platforms, giving voice to many around the world. Facebook has become a powerful tool in the activists fight against the hegemony. Egypt, China and Myanmar have shown the power of this in recent times and as a result, Governments have worked to ban all these websites. I do believe that they banned these websites, because I lost connection with some Myanmarese friends. I am not sure if they also banned Myspace.com, but my Myanmese friends have not logged in for a long time ago. These are the websites which say something bad about Myanmese Government. 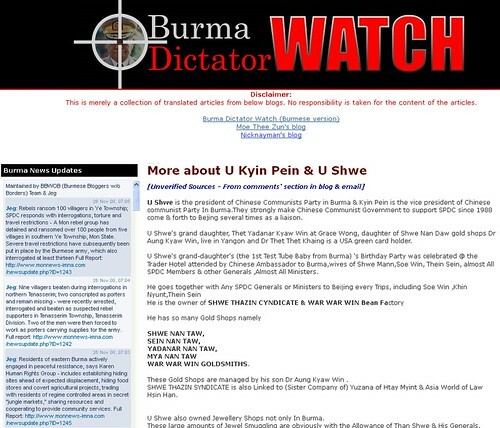 If you were in Myanmar and you typed these URLs, you will found that they are banned. 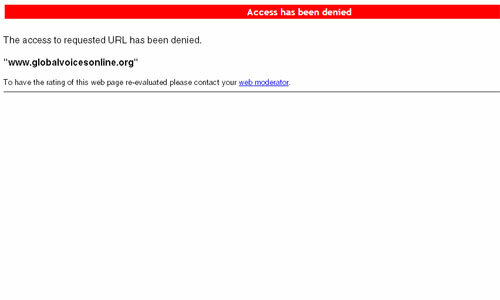 “More websites banned in Myanmar. Global Voices banned too “, . Last week, as I searched for groups and pages on Facebook.com, I could not believe my eyes. I found more than 200 pages that support Aung San Suu Kyi and some of these pages had up to 356,479 (Three hundreds thousands) fan supports (Number update at May, 13th 2011). 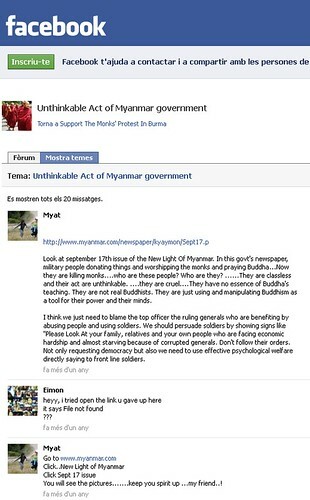 This is an incredible number of protestors on Facebook against the military government in Myanmar. Moreover, I also found the pages, such as the “Democratic Voice of Myanmar” that disagree with the election in 2010. 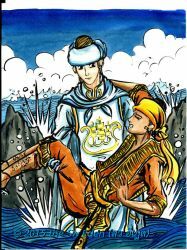 I would bring you back to talk about Aung San Suu Kyi. I believe that most of us know her from the news. She has been know as the leader of Myanmar’s fight against military dictatorship (www.hindustantimes.com, 2011). The Nobel Peace Prize 1991 was awarded to Aung San Suu Kyi “for her non-violent struggle for democracy and human rights” (nobelprize.org, 2011). My question is, do you really believe that all these online protests are true? I understand that this massive number of people on Facebook pages could make a innocent user follow them easily. Since our friends mention about the media which might give a wrong information to the audiences, Western people who protest for Aung San Suu Kyi through Facebook.com are those who receive the news from false media reports which wants to make a profit. As the result of blocking famous community websites, many people who actually know what happened in Myanmar do not have a chance to express their thought to the world. 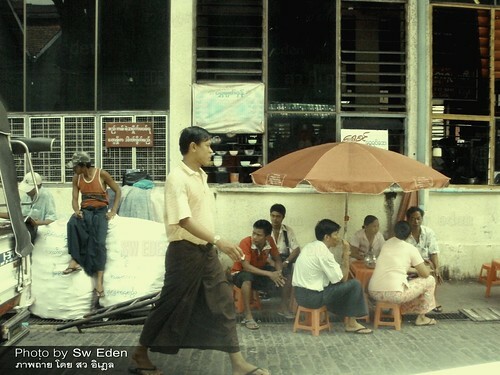 These people are people who live in Myanmar. Last year, I went to Myanmar, and I did talk to them about this issue. The only people who would support Aung San Suu Kyi (National League for Democracy) are those who need Myanmar to be splited. Currently, Myanmar has 3 powerful races which are Bamar, Shan and Karen. 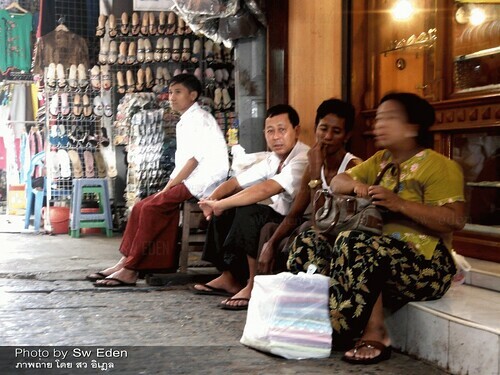 60% of Myanmese citizens are Bamar, 10% are Shan, 7% are Karen and 23% are other races. Bamars are proud of their government, and they really do not want country to be split. As I heard from the reports about fighting between military and karen near the border line of my country, Thailand; I asked the Karen people near my place if they might support democratic party. Unbelievably, they said most of them against democratic party, even they were not proud of the military government. 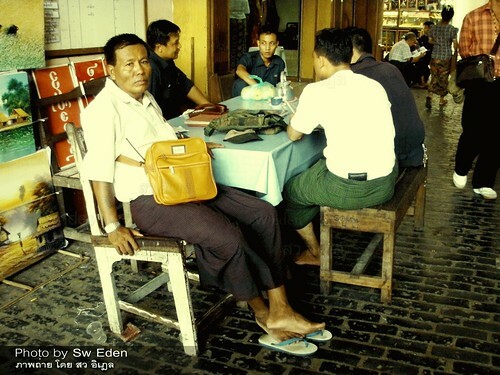 What I learned from them is, if Myanmar became democratic, then all western investors would come to take all natural resources from Myanmar, until there was nothing left for Myanmarese themselves.